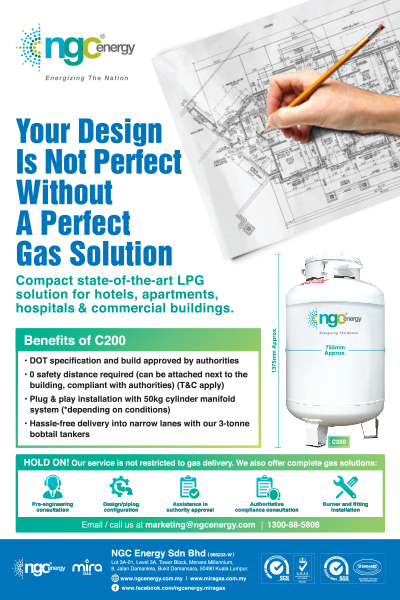 NGC Energy, a pioneer in Liquefied Petroleum Gas (LPG) solutions, prides itself as a dynamic, progressive and an innovative energy solutions provider. Through our collaboration with our parent company in Oman, we have the technical support and knowledge to raise our standards and remain as one of the leading players in the industry and continue to build further on our core values of integrity, safety and reliability. We are committed to energizing lives and we pledge to bring further value by delivering eco-friendly, safe and convenient solutions to our customers across the nation. We are NGC Energy. We are Energizing the Nation.